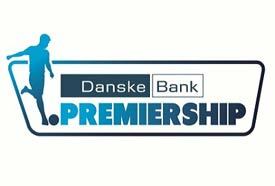 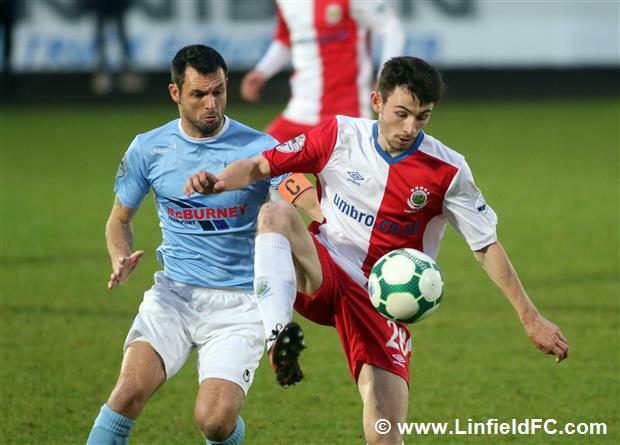 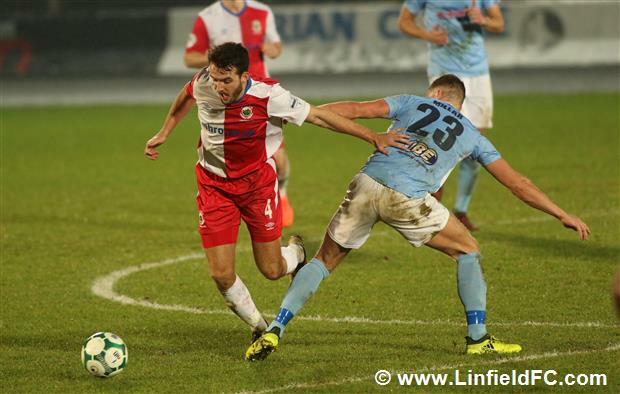 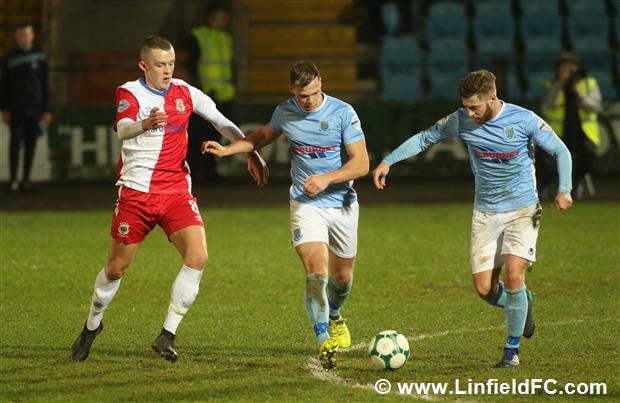 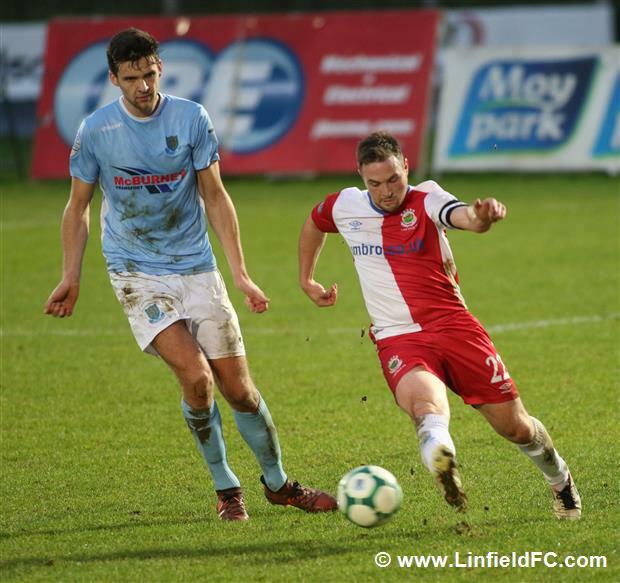 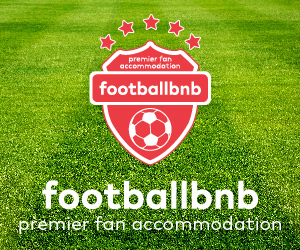 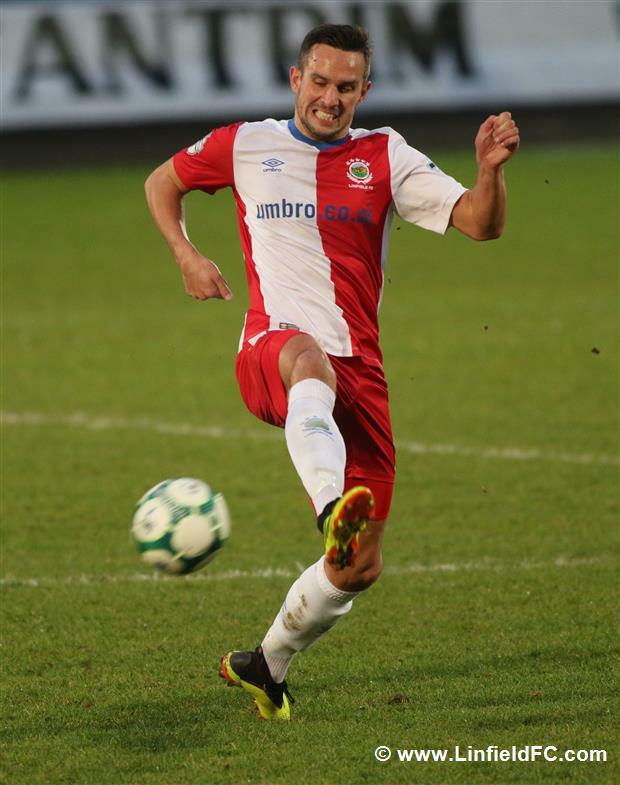 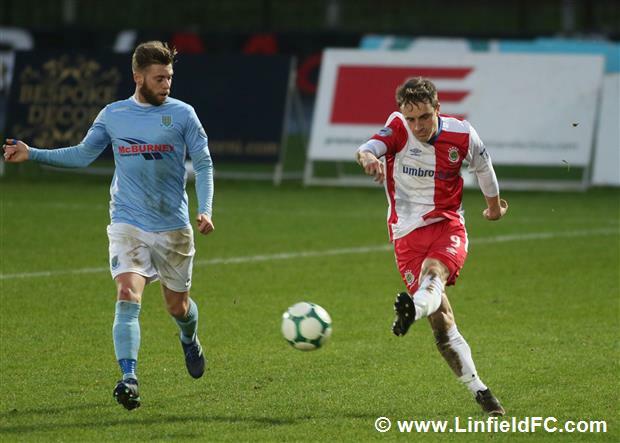 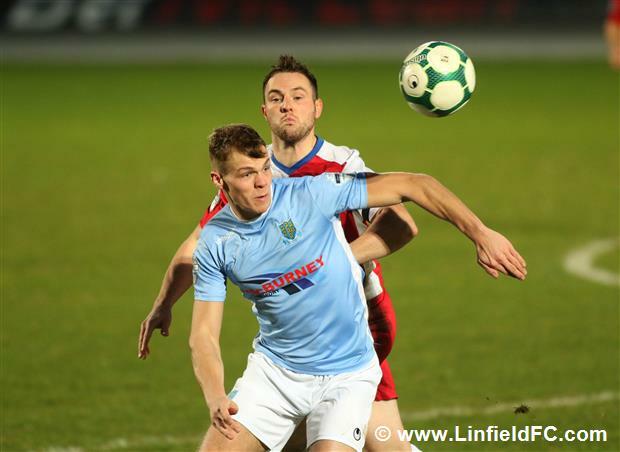 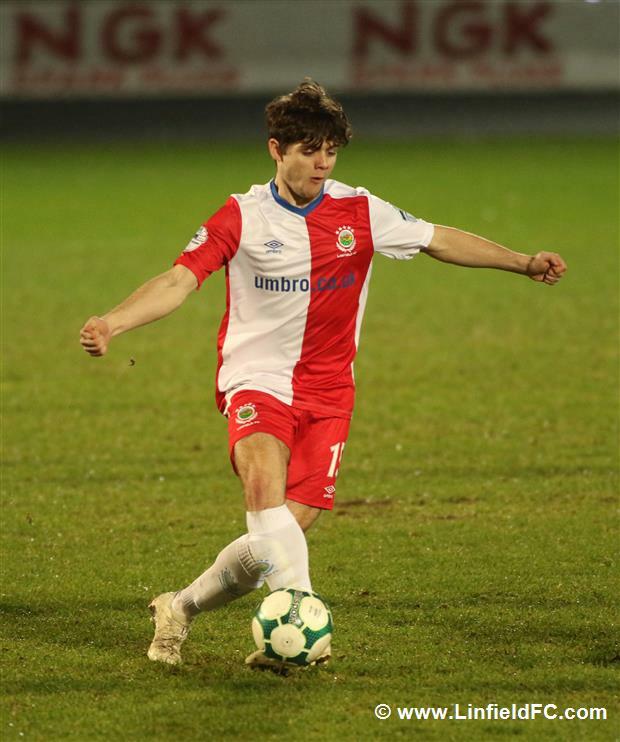 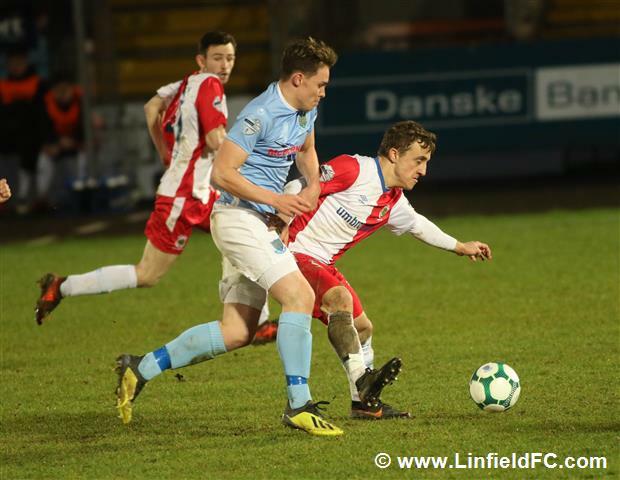 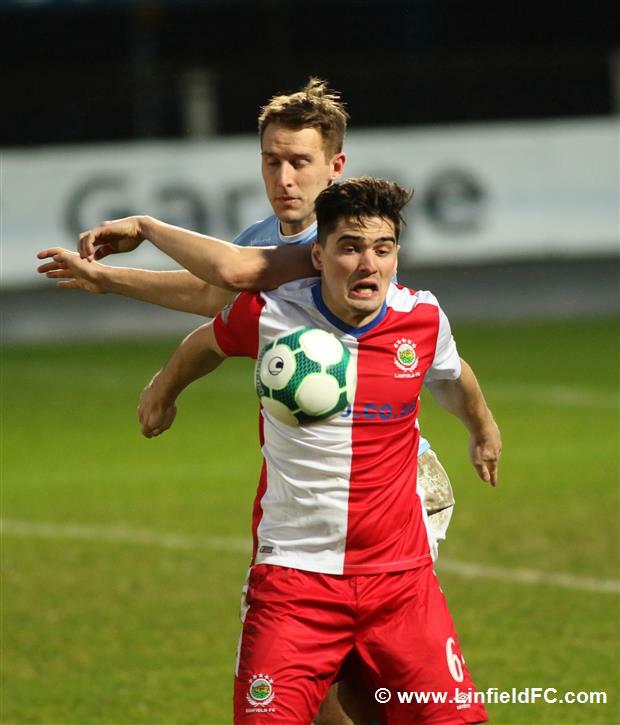 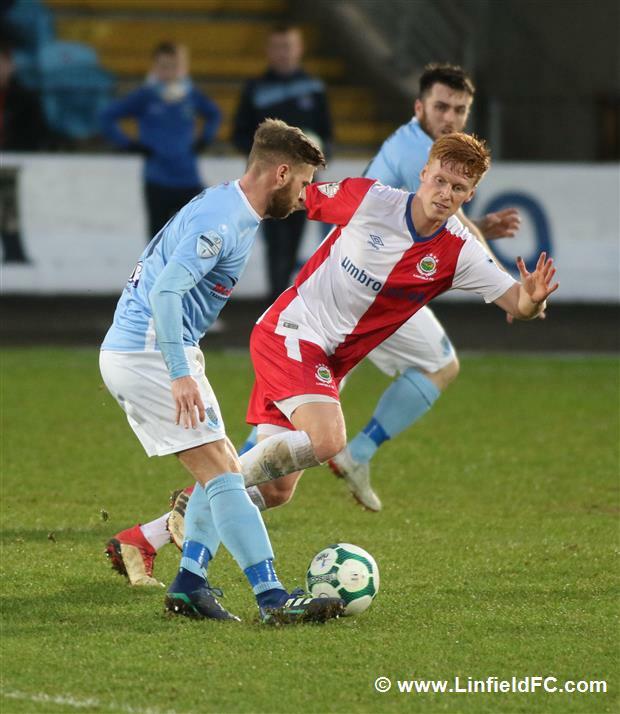 Linfield suffered a disappointing defeat at the Ballymena Showgrounds this afternoon as Ballymena United came from behind for a win which sent the hosts top of the table. 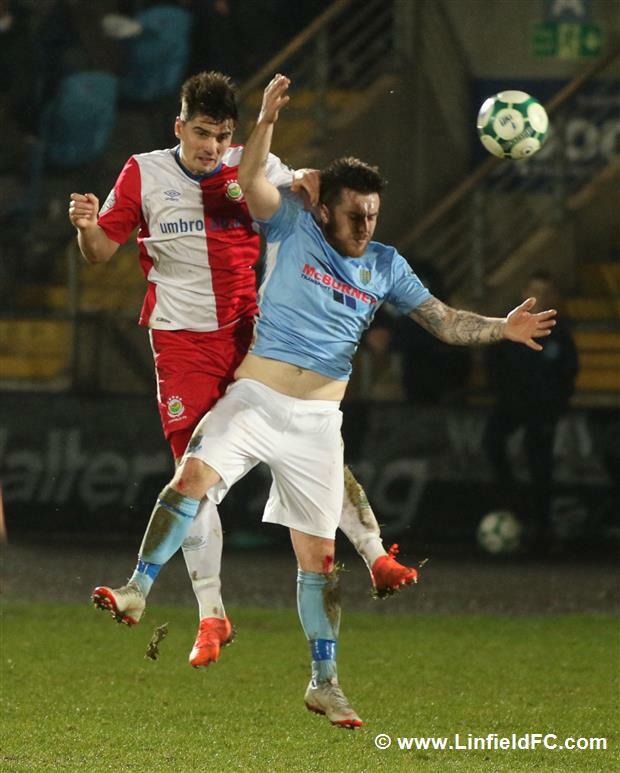 The first chance fell for Ballymena when Adam Lecky fired over a good chance from close range. 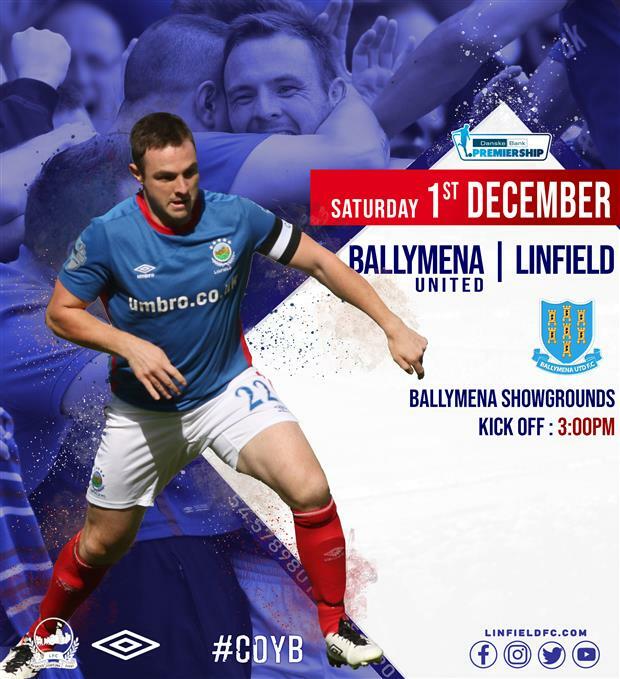 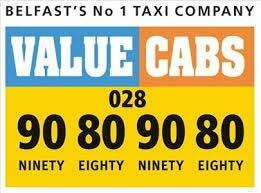 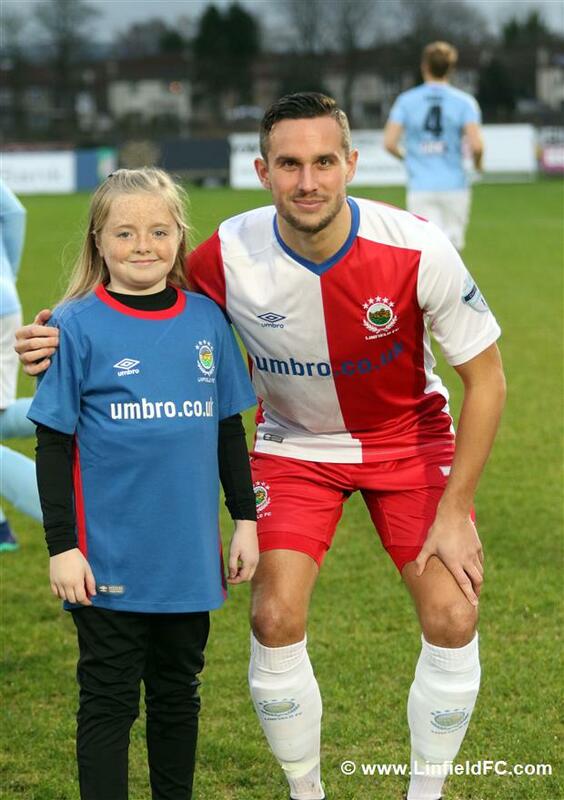 Thankfully, Linfield were more ruthless when they carved out their first chance. 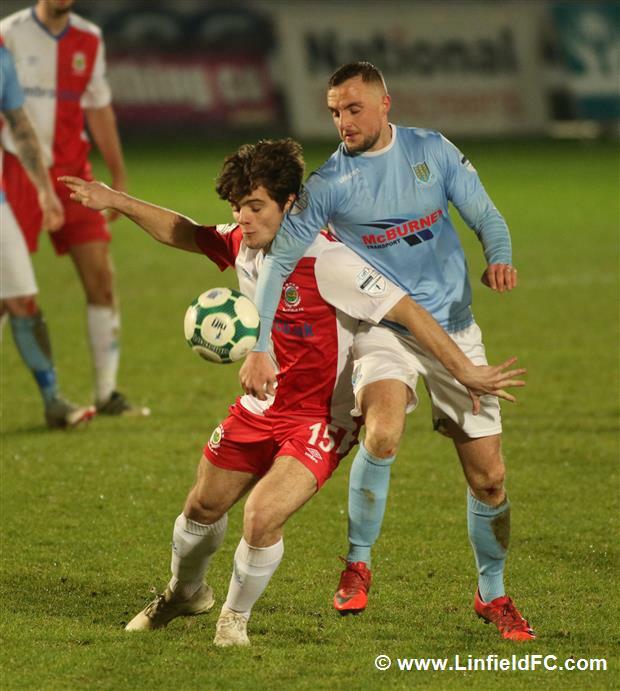 Stephen Fallon picked up possession by the byline before squaring the ball across for Andy Waterworth to tuck home the opener after four minutes. 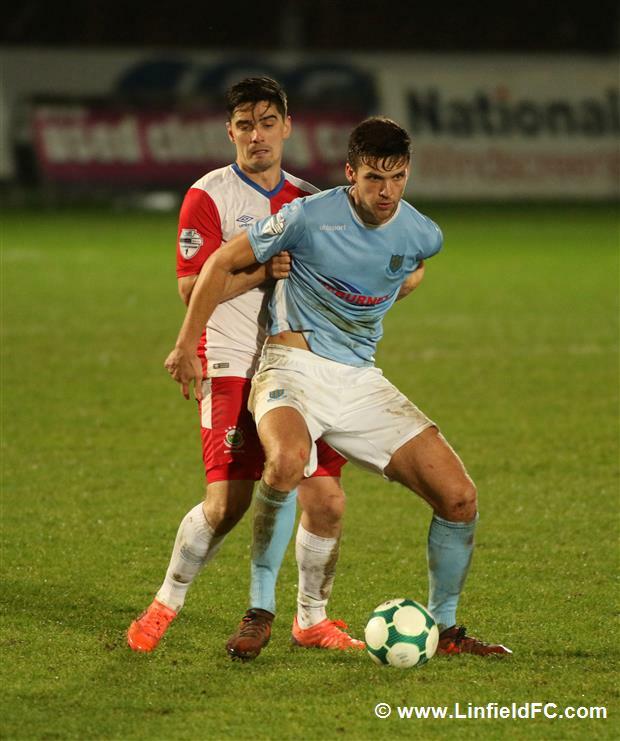 The Sky Blues looked to hit back immediately and thought they’d drew level moments later, however, Jude Winchester was ruled offside after a tidy finish and good link-up with Adam Lecky. 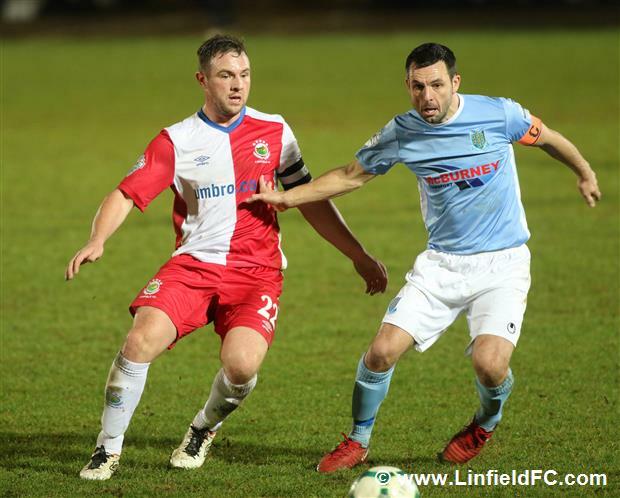 Linfield also had one chalked off for offside a short time later. 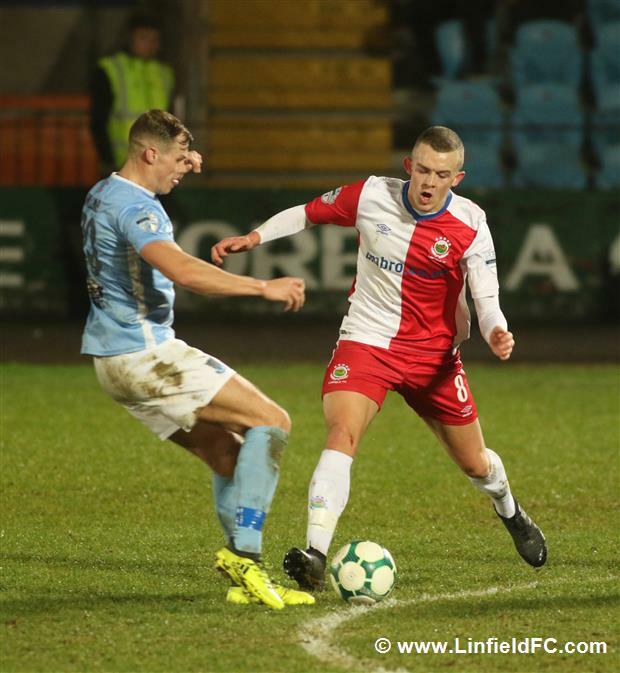 Influential Stephen Fallon worked his craft yet again and found Waterworth who, even though he was offside, was denied by a splendid save by United goalkeeper McDermott. 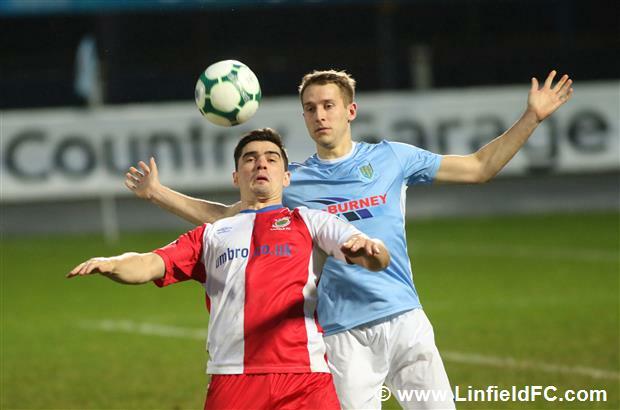 Kirk Millar had the ball in the net on the follow-up but it mattered not as the linesman raised his flag. 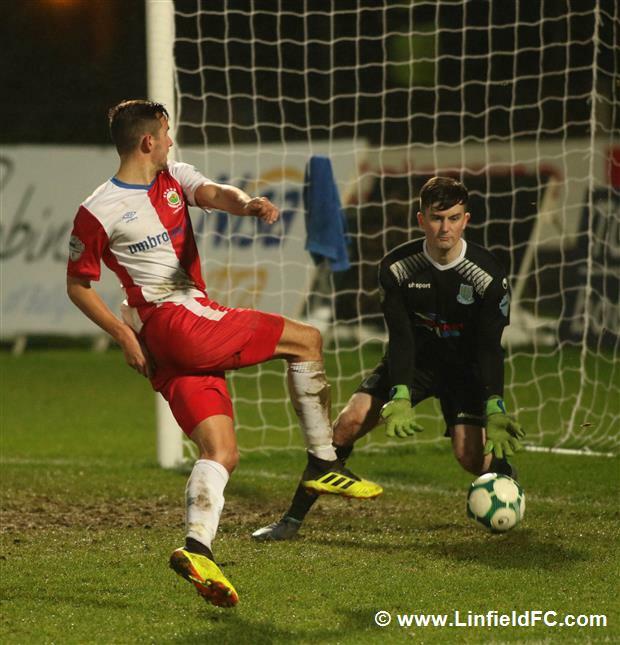 Roy Carroll was called into action for the first time when Leroy Millar struck a rasping drive at goal after dispossession of Josh Robinson but the experienced goalkeeper was equal to it, pushing the ball around the post with a strong arm. 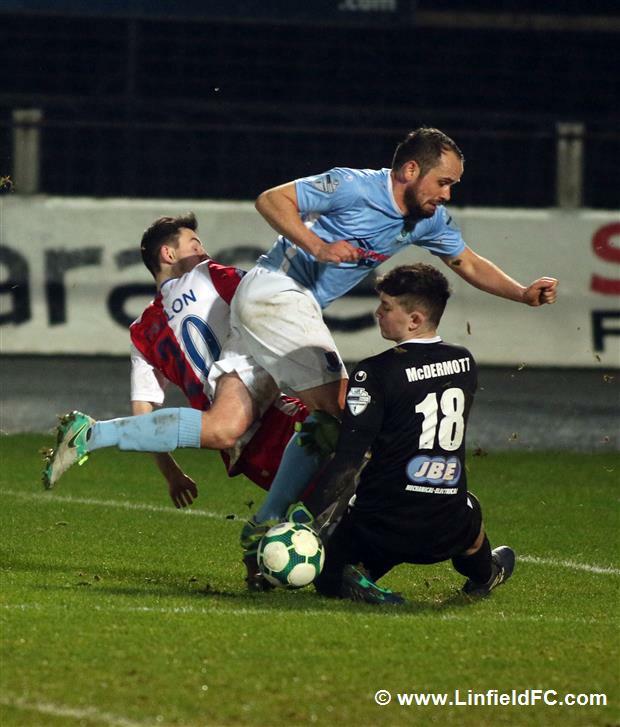 The international goalkeeper also made short work of Stephen McCullough’s well struck free-kick, clutching the ball expertly down low to his left. 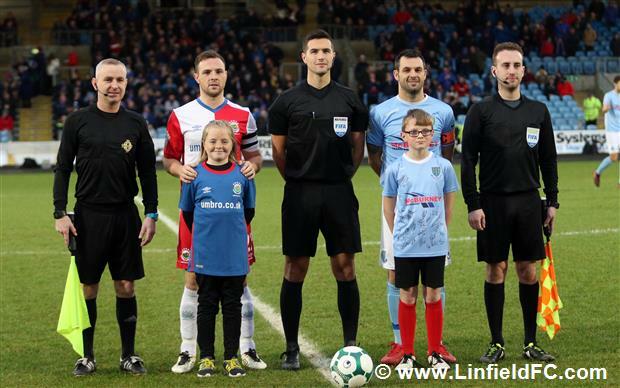 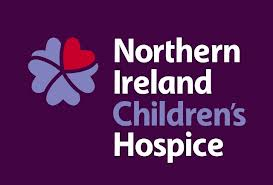 Linfield almost added a second minutes before the break when Jimmy Callacher headed Niall Quinn’s corner towards goal and Fallon’s intelligent flick was well saved by McDermott. 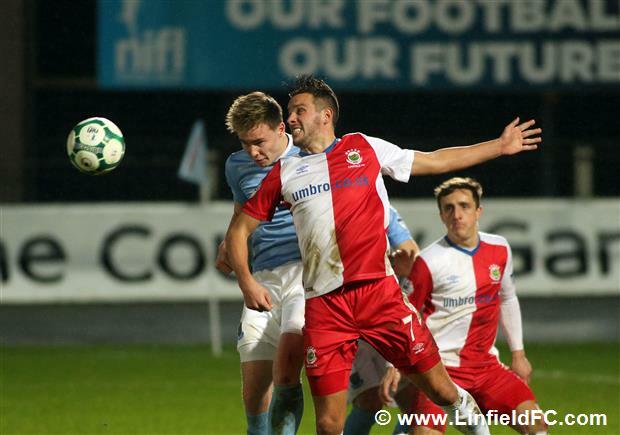 The Blues went close early in the second half when Niall Quinn fired in a dangerous corner. 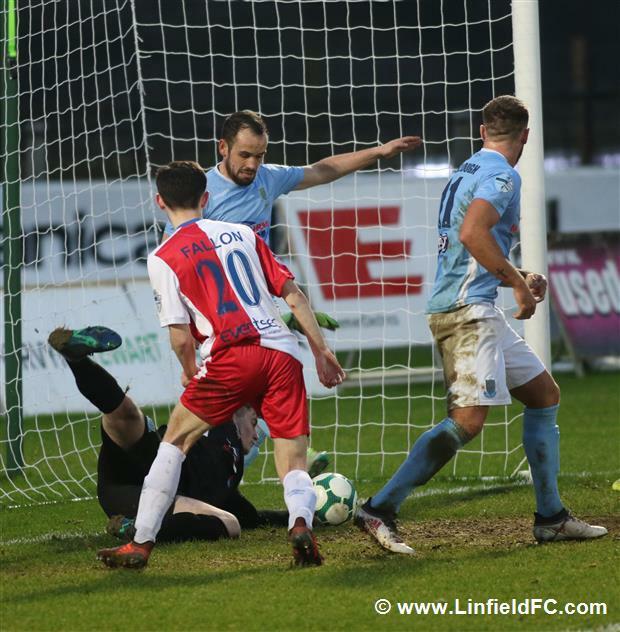 Joel Cooper connected but not as he would have liked before a series of Linfield players tried to scramble the ball into the net before the ball ultimately found the arms of the goalkeeper. 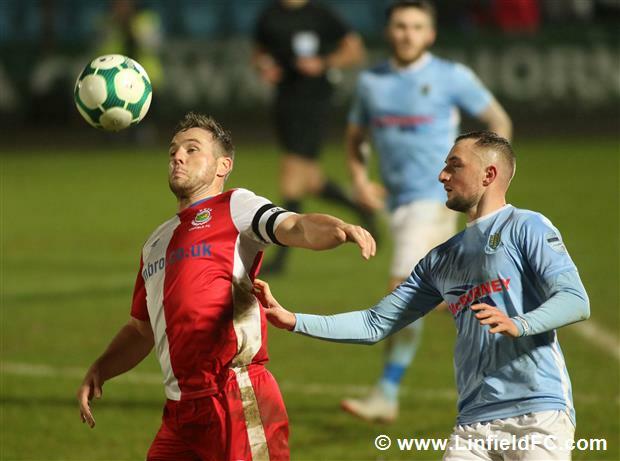 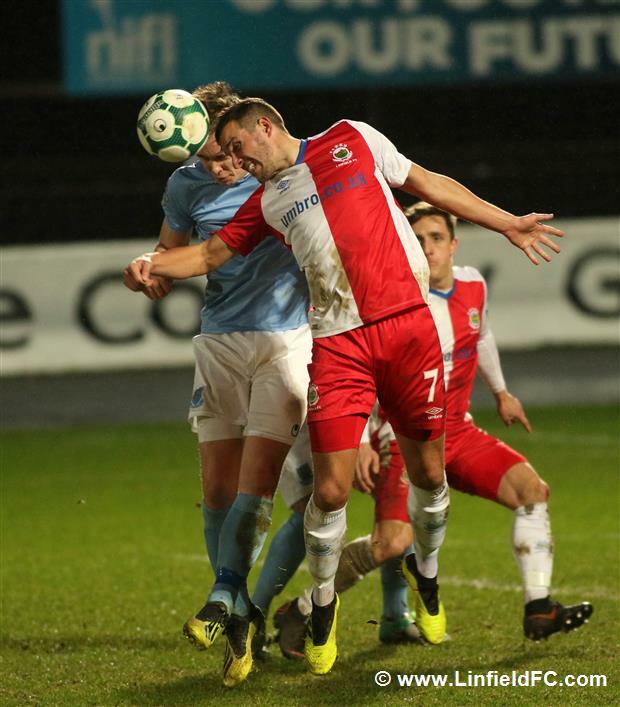 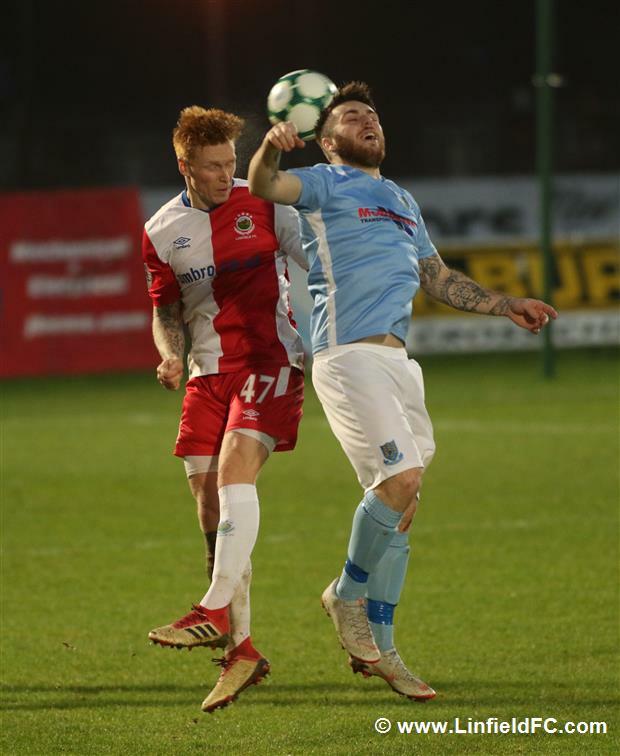 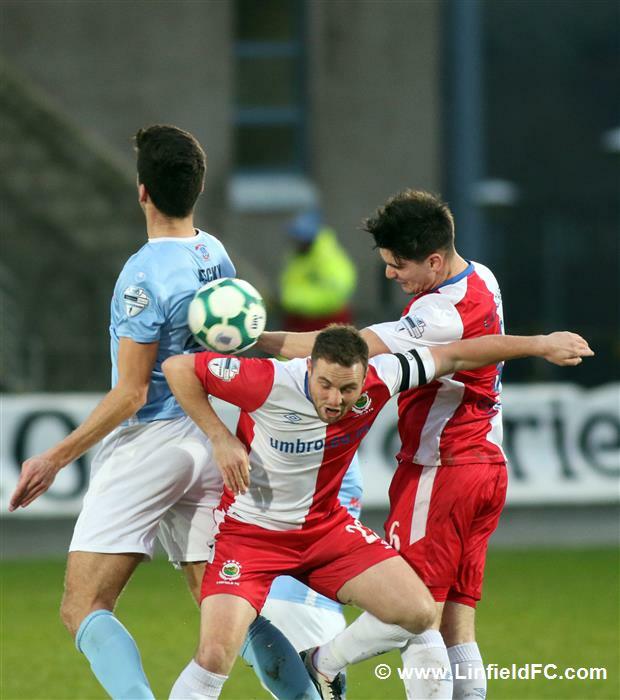 The Sky Blues found a leveller on 52 minutes when Stephen McCullough’s quality free kick was met by defender Jonny Addis, who nipped in ahead of the onrushing Roy Carroll to nod home. 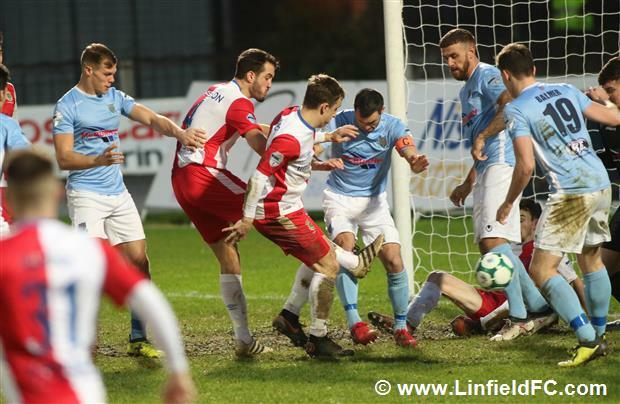 United then got their noses in front for the first time on the hour-mark when Friel worked the ball out right to Leroy Millar on the right, cutting inside a firing a powerful strike into the bottom corner with his stronger left foot. 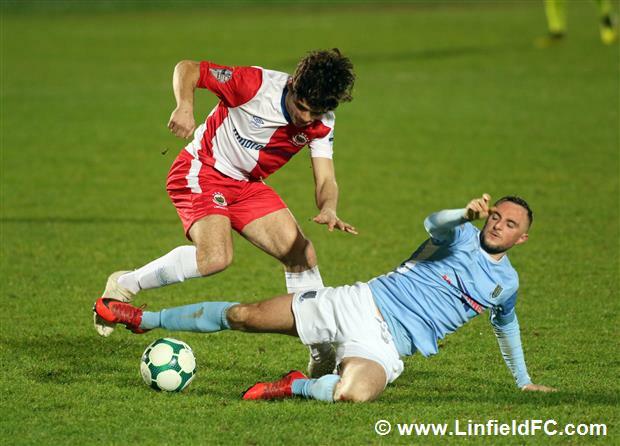 David Jeffrey’s team almost added a third 20 minutes from time when Leroy Millar released Cathair Friel with an exceptional pass before the striker was denied by a superb save from Carroll. 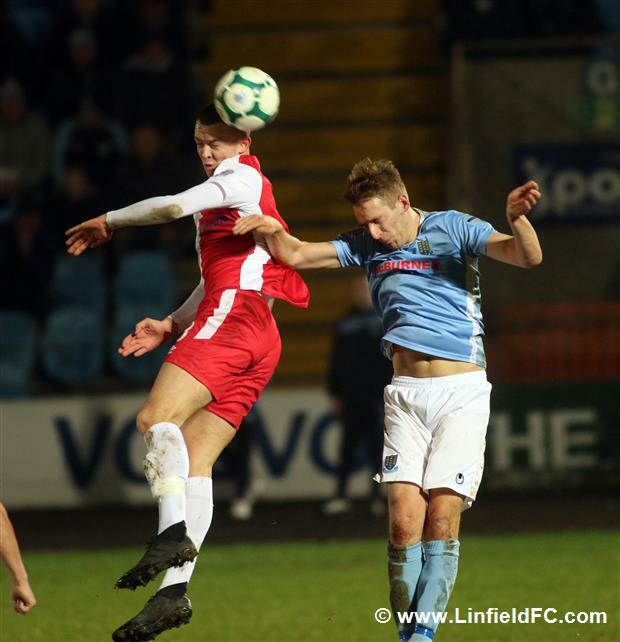 Linfield went within a whisker of making it 2-2 when another good corner from Niall Quinn was met by Jimmy Callacher, but the defender headed just wide of the post. 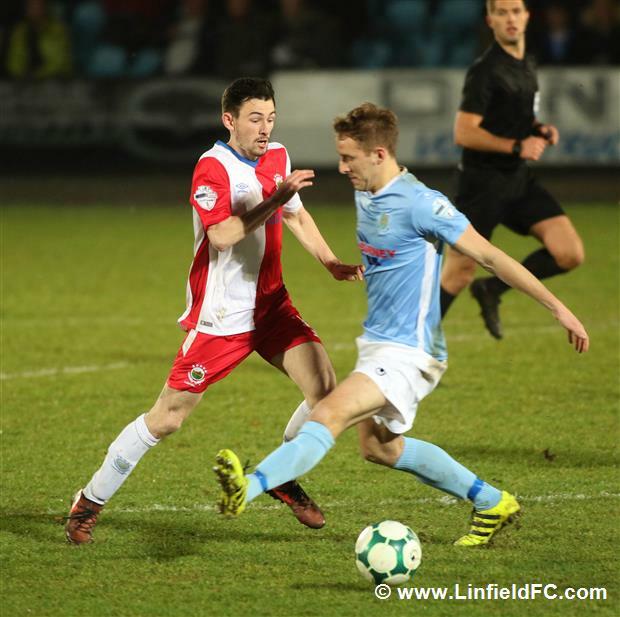 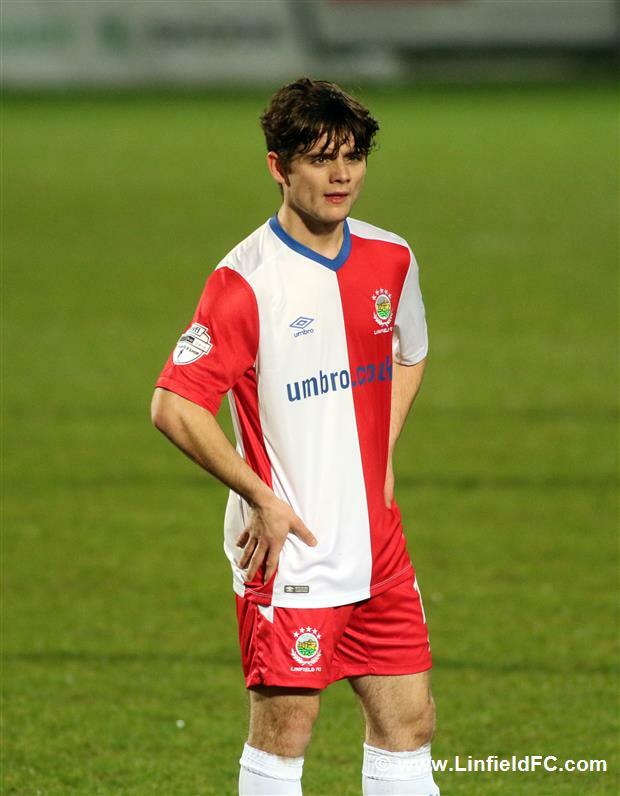 The one positive for Linfield was that hot prospect Lorcan Forde returned after injury hell to make a long awaited club debut.